On one of my trips to Cebu (happened several months ago), a lot of people have been commenting on my photos on Facebook saying that I looked “glowing”. I would like to say that it’s all because of a strict skin care regimen but sadly no. 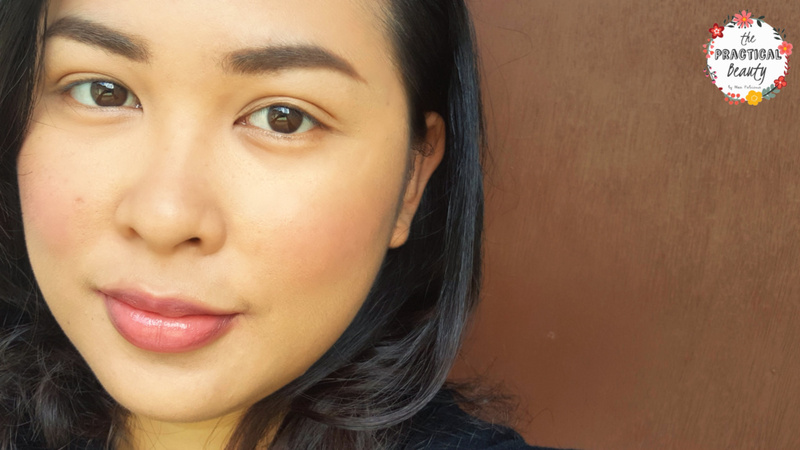 My seemingly glowing skin is all thanks to knowing how to apply foundation seamlessly. Today, I’m sharing my makeup tips on how you can get the same blended, glowing look. 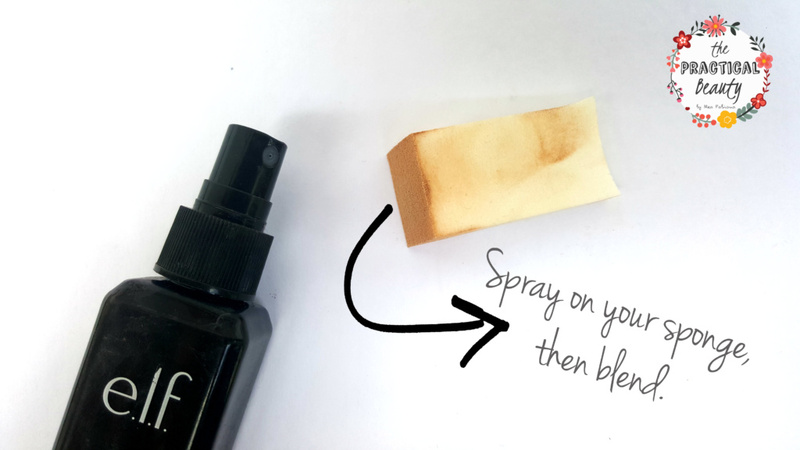 There’s one trick I use when it comes to blending my foundation. 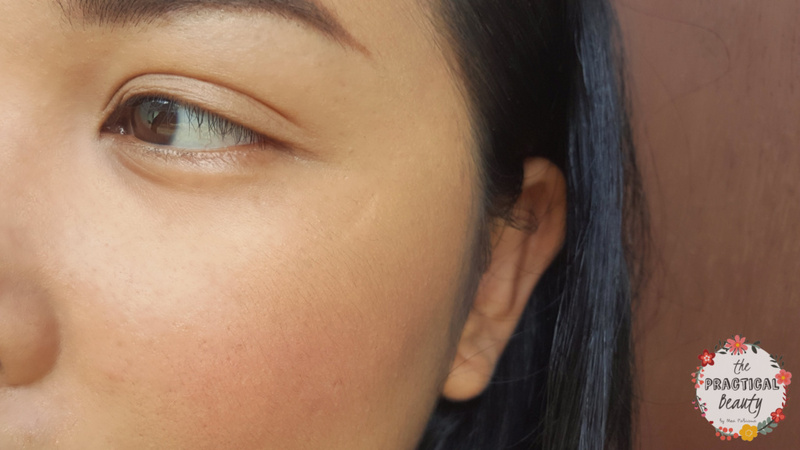 This trick I learned from the makeup tips of beauty gurus on YouTube. It’s beginner-friendly, you can absolutely do it as long as you have the right foundation shade, the right products and the right tools. I am currently using the ELF Maximum Coverage Concealer. 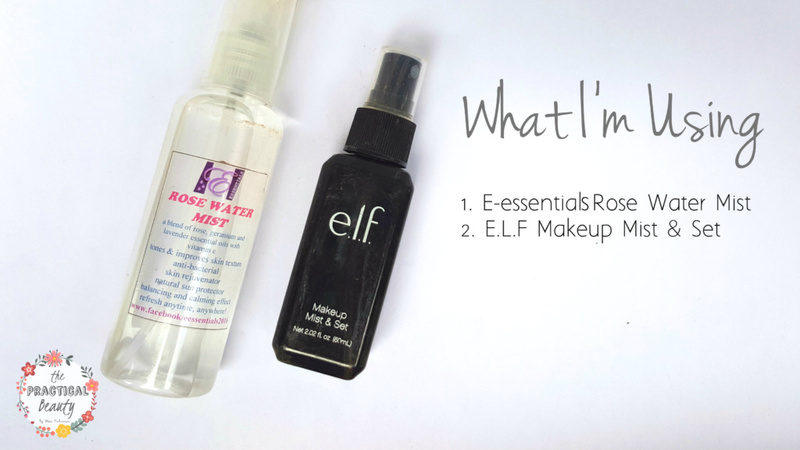 I’m using two products – one is from E-Essentials and the other setting mist is from ELF. The sponge I’m using the a generic wedge sponge. You can find similar products in Amazon or beauty stores. My cheek stain is from a local brand called Natasha. The lipbalm I’m using is Maybelline’s Baby Lips Electro Pop in Pink Shock. Pardon the dirty sponge. I’m going to clean it this weekend. What I do is apply small dots of my concealer on areas of my face that have undesirable spots. Afterwards, I get my wedge sponge, which you can see on the picture above, and I spray it with my setting spray. I use the moist sponge to blend the small dots of concealer. It looks like I have naturally rosy cheeks. The blush has blended with the foundation seamlessly. I don’t apply lose powder on top of my concealer yet. What I do is apply my tint to my cheeks. After doing that, that’s when I brush my face with powder. It gives a more natural effect, and because you are applying wet on wet (tint on foundation), the merging of these two products become seamless. Rosy cheeks need rosy lips. To top off your natural look, you’ll need some color on your lips too. What I’m currently using is Maybelline’s Baby Lips Electro Pop and it’s working so well for me because it’s moisturizing, the pinkish tint matches my cheek tint very well, and it adds a bit of shine to my lips without being ultra-glossy. The key to this look is really the setting spray. Not only does it help blend your foundation seamlessly but, it also helps your makeup last longer. A good alternative to setting sprays is rose water mists. I’m using one from a local producer, E-Essentials. I’d be glad to answer any of your questions. Leave them below or email me – whichever you prefer. Thank you for reading, and you can check out more beauty posts here.